Before we get into the nitty grittys of soundproofing a jam room, rehearsal room, or band practice room, I want to take you through some acoustic concepts. It’s important to get your fundamentals right, so read on. Lets first make some assumptions. Lets take a medium sized band, say 2 vocals and a 5 piece band (two guitars, one bass guitar, one keyboard, and one drum set). Lets use these two as our sound generating sources. These two sources will become the benchmark, so we can illustrate how to soundproof a rehearsal room. They both produce energy in similar but different parts of the frequency spectrum. Once we know how much energy we are going to produce in the room, we can design the shell or barrier that will keep the sound generated from within our room, inside where it belongs and the noise generated from outside our rooms, outside where it belongs. A good start is concrete which will provide the barrier protection we need. We should make ours walls 8″ thick and use red bricks or concrete bricks when possible. Siporex is a good second choice if red bricks are not an option or if you have problems with building heavy walls. This is common in multi-storey apartments. Sound transmission loss is the ability of a structure to reduce sound transmission from one side of the wall to the other A 8″ concrete brick wall will provide a sound class rating of 56 and a red brick wall will provide a sound class rating of 45. This means that if we have a sound source on one side of the wall that measures 90 dB, it will be 34 dB on the other side because the concrete barrier will reduce the sound pressure level by its sound transmission rating. if red brick or concrete is not an option, one can use a wood frame structure or rather two wood framed structures. We construct a 2″ x 4″ wall and then another 2″ x 4″ wall. We leave an air space of 4″ – 6″ whatever our physical location will permit. We isolate each wall from each other with the air space and we mechanically decouple each wall from the existing structure. This dual wall structure will afford almost the same STC value as a poured concrete wall. The poured concrete wall has a STC rating of and the dual wall has a STC rating of. We can further improve the performance of this wall by adding mass loaded vinyl. Once we have chosen our barrier configuration, we must focus on the inside of our room. If our room has been “acoustically sized” then we can begin right away with the acoustical treatment. If no thought or consideration has been given to the rehearsal room’s size then we must address that issue before we go any further. If we are rehearsing a small band then we need the correct room volume to accommodate the band’s frequency range which is a larger requirement than a vocal rehearsal room. Room modes or resonances build up inside a room that is not large enough to accommodate the complete frequency range that is produced by the rehearsing source. Resonances, especially those created by lower frequencies, have no place within our rehearsal room. A microphone or band member placed in one of these modes, may not be able to hear themselves and the microphone will not be able to record the correct information because the sound needed to be recorded will be smothered by the resonances. For a small band rehearsal room make sure you have at least 30′ in one direction of the room. For a vocal room, make sure you have at least 15′ in one direction. Always choose higher ceilings for both rehearsal room sources. Aural Exchange can do a free room analysis for you and give you a list of room modes you’re likely to experience. Acoustical room treatment for your rehearsal room can be absorption. Low frequency absorption must be used to manage low frequency modes. It can not be foam or panels filled with building insulation. One must use tuned low frequency absorbers that can handle the low frequency energy created within room locations. Middle and high frequency absorption can be used to tame rehearsal room reflections to manage reverberation times. Make sure you choose the correct rate and level of absorption that compliments your use. Diffusion can be an important tool in dealing with room boundary reflections. Diffusion can take the reflected energy from the wall surfaces and spread that energy out in a fan like array in two dimensions. This spreading out of energy allows for a smoother presentation of energy at the microphone position. Two dimensions of diffusion can be achieved within your rehearsal room by using quadratic diffusion. Variable acoustics have gained popularity. One can have absorption panels that can be absorption on one side and diffusion on the other. An engineer can alternate between absorption and diffusion to suit the recording engineer’s acoustical palette. Portable low frequency absorbers can be rolled in to handle room resonances at certain places within the rehearsal room. When you are planning on how to soundproof a rehearsal room, you must first define what sound producing sources are going to be using the room. Once determined, you can assign the correct barrier technology to manage the sound pressure levels generated from the rehearsing source and keep wanted sound within the room and unwanted sound outside. The rehearsal room must have the correct volume to accommodate each source whether from a single vocal, a choir, or a small band. Proper room volume minimizes room resonances. A combination of absorption and diffusion technologies can be used inside the room. Sound is a lot like water. Wherever it can go, it will go. If you have a sturdy massive wall, with even one flimsy area or a single air gap, sound will find its way to that weak spot and travel directly through it. The first place to look solve both these problems is your doors and windows. Interior walls, which are usually made of a single layer of red brick and plaster on each side may have an STC rating of about 33db. If you’re lucky, your exterior walls might cut out as much as 40 or 50 dB if they’re of good quality (high density poured concrete bricks). But all too often, your doors may have an STC rating as low as 15dB, providing pitifully little sound protection. So you’re screwed, because sound will always take the path of least resistance. Doors in apartment buildings, even ones that lead into communal hallways, are often entirely hollow. In many cases, they may literally be made of two pieces of flimsy plywood, kept from caving in on each other only by a lightweight honeycomb of corrugated cardboard. Replacing a hollow door with a heavy solid-core wood door can go a long way to improving the overall performance of your room. But remember: it’s critical that the seal of the door be airtight, or sound waves will come screaming through whatever air gaps that remain. Windows are another common weak spot. 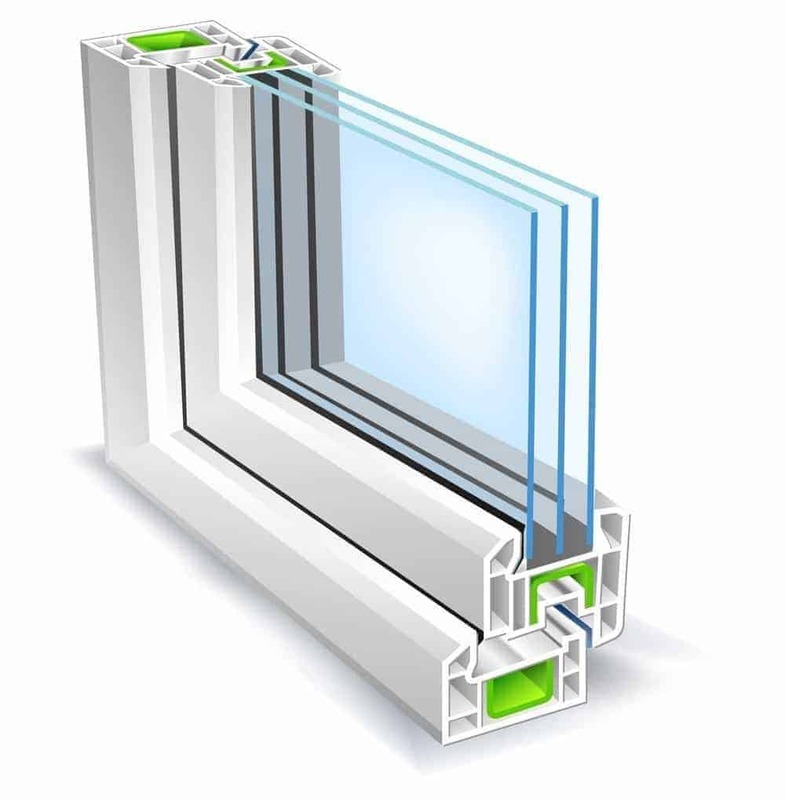 Replacing cheap windows with double-glazed glass can do a lot to block out street noise, as well as keep the temperature in the room more consistent. If you have simple goals, like recording a few extra vocals or guitar overdubs at home without street and hallway noise interfering too much; or if you want to freely practice in your apartment without feeling self-conscious as your neighbors enter and leave the building, this step alone may go a long way in taking your room from useless to useable. But for those who really need to block sound, this is just the beginning. Improving doors and windows can bring your whole room up to the spec of your walls, but they can’t take you beyond that point. If the biggest problem you face is wall-borne sound transmission, replacing or reinforcing an existing wall can do a lot. In the right scenario, basic upgrades using fairly inexpensive building materials can be surprisingly effective, particularly on interior walls. For the budget-conscious, simply adding a layer of Bison Board to each side of an existing single-layer wall can make for a measurable improvement. You can take the STC of an interior wall from 33dB up to as much as 45dB, making it competitive with the sound resistance of a basic exterior wall. Further upgrades are possible as well. They involve additional construction and either A) using more standard materials and eating up more space, or B) switching to fancy boutique materials like mass loaded vinyl that cost significantly more, but allow greater isolation while eating up less room. By sticking with standard building materials like regular gypsum drywall or bison board, and standard insulation like RockWool, you can take the rating of a single interior wall from STC 33 all the way up to a respectable STC 63. You’d have to either stagger or double up on your studs, thus eating up valuable space, but the materials wouldn’t cost a whole lot – particularly if you only have one critical wall to replace or reinforce. If you choose to use higher-cost building materials like TecSound and mass loaded vinyl, you can easily achieve these STC ratings without losing any square footage. By replacing standard gypsum drywall with Bison Board, switching your standard insulation out for original Roxul Rockwool (available exclusively with Aural Exchange), or adding in additional buffering materials like Nankarrow and Ultracoustic panels you can dramatically increase the performance of any wall without changing its basic dimensions.